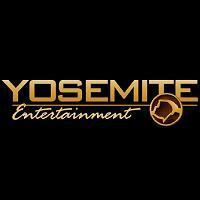 Yosemite Entertainment was the name Sierra On-Line used for the development studio that remained in its old headquarters in Oakhurst , CA after the company had moved to Bellevue, WA. It was shut down February 22, 1999, as part of corporate consolidation by Havas, Sierra's new owner. The closure and layoffs on that day are commonly referred to as Chainsaw Monday, a term initiated by Space Quest designer Scott Murphy. At the time, Yosemite was working on an Unreal Engine adaptation of the Rogue Warrior books named Navy SEALs, and a space combat sim based on the Babylon 5 franchise called Babylon 5: Into the Fire. SEALs was picked up by Codemasters who acquired Yosemite's facilities and established a new studio there retaining a number of its employees, while development on Into the Fire was moved to Sierra's main studio in Bellevue. Both titles were however ultimately canceled, leaving Yosemite's final work unreleased.